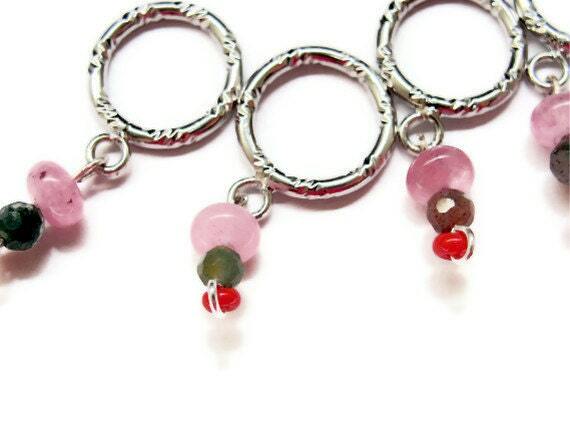 Here are my new knitting stitch markers. They are snag free and fit upto size 11. They are so fun to make and are so much better than the drab orange and green plastic ones don't you think. When I'm knitting with my handmade stitch markers, I pause occasionally to look at them and admire how pretty my knitting looks because of them. 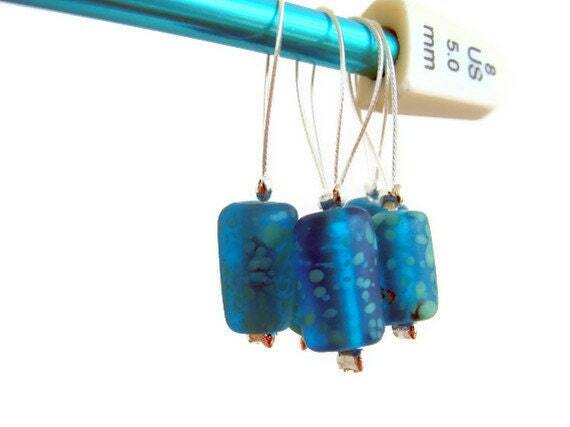 I love the blue stitch markers. I have been wanting to try some of the snagless stitch markers. I hate it when the yarn get caught in a stitch marker. Thanks! The snag free ones are especially useful with lacy and fuzzy yarns.